In today’s post we will learn how to wax our snowboard in 5 easy steps. We will also see how to repair the sole of the table with cofix. How do we know if we need our table Snowboard waxing? Easy, when in doubt, apply wax, you will never wrong. If the table is in great need of wax, the sole will look whitish and dry. En el post de hoy vamos a aprende cómo encerar nuestra tabla de snowboard en 5 sencillos pasos. También veremos cómo reparar la suela de la tabla con cofix ya que ésta suele arañarse con piedras u objetos que nos encontremos por la pista. 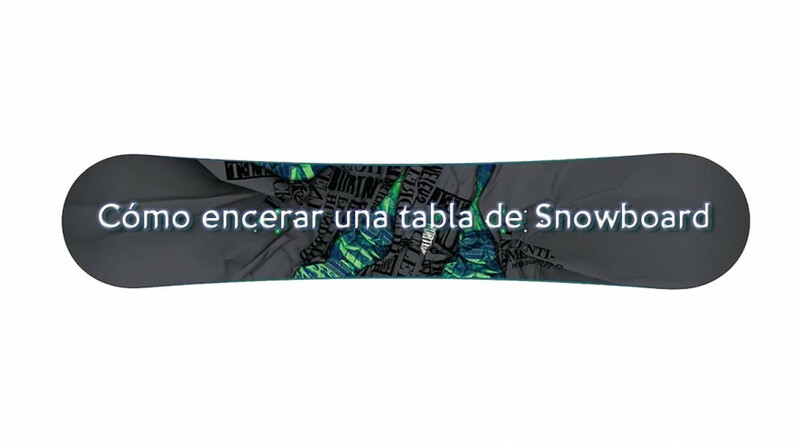 ¿Cómo sabemos si necesitamos encerar nuestra tabla de Snowboard? Fácil, ante la duda, encérala, nunca le vendrá mal.